This virtual event focuses on transformational approaches for achieving meaningful use. The educational program will highlight the innovative approaches, strategies, actions and awareness needed to transform healthcare through three tracks: Facilitating Health IT Adoption and Utilization; Principle and Practice of Usability and Human-Computer Interfaces; and Career Development/Advancement. Please share this event with your connections! 1) E-mail your comments to [email protected]. 2) You may share your comments as narrative in e-mail or as an attachment to an e-mail message. 3) Please include your first name, last name and organization name. We’re sorry but if this information is not included, we will not be able to consider your comment for response. 4) Please indicate the page number(s) and paragraph(s) where proposed edits or comments should be considered. 5) All comments are due by noon CDT on Friday, May 21, 2010. 6) If you have questions, please e-mail [email protected] After we review and respond to the received public comments, we will post a compiled list of the comments on the Office of e-Health website, http://www.tn.gov/ehealth and to the Listserv. If you know others in our state who would be interested in providing public comment on Tennessee’s Strategic and Operational plans for Health Information Exchange, please forward this message to them. We want to hear from as many Tennesseans as possible. On April 22, HIMSS Medical Banking Project became one of 300 certified “civil society organizations” from around the globe to gain clearance and participation in the 2010 Civil Society Forum at The World Bank in Washington DC. In the afternoon, some 100 executives from all over the world met at a roundtable, complete with multiple translators, to address questions directly to the president of the World Bank, Dr. Robert Zoellick. During this time, Dr. Zoellick repeatedly referenced the UN Millennium Development Goals (MDG), that are targeted for fulfillment in five years (2015), and the need to work more aggressively to meet the timelines. Among these goals are improved healthcare for women and children, and others, the efficient use of resources to promote sustainability and more. Recently, the World Bank joined five other national agencies (UN, WHO, Bill and Melinda Gates Foundation, others) to make a global announcement about the importance of information technology for improving global healthcare. This initiative is a direct result of guidance provided from within the MDGs. After the session, which was a lively dialogue regarding various interests ranging from clean energy to healthcare to financial policies that included successfully combating fraud and abuse of funds at the World Bank, the participants gathered in a networking reception where officials of HIMSS that were present (John Casillas, SVP, HIMSS Medical Banking Project, and, Juliet Santos, Senior Director, HIMSS Medical Banking Project) spoke to many in the World Bank’s executive team, many of who asked that we make plans for ongoing collaboration. Working with the World Bank has been a longstanding strategy of the Medical Banking Project and with the new HIMSS MBProject, there is an emerging possibility that this strategic goal will be realized by collaborating to raise awareness of health information technology issues around the world. SWIFT and American Espionage By Michael Scott Moore –> Europe’s newly empowered Parliament’s first muscle flex involves privacy and tracking terrorist finances. The New Trans-Atlantic SWIFT Agreement By Michael Scott Moore –> Will it give European intelligence agencies access to U.S. banking records? I often get asked something along the line of, “If you weren’t leading Automattic, what would you work on?” There’s not a single answer to this question; the answer changes day to day. But I think if you asked me today, I’d say I would like to start a bank. The Call for Proposals and the Call for Reviewers for the 2011 Annual HIMSS Conference & Exhibition—Feb. 20-24 at the Orange County Convention Center in Orlando—are now open. The online proposal form and reviewer application are available through May 24. Individuals interested in submitting conference education proposals should spend time reviewing the many available online resources including information on intended audiences, various topic categories and evaluation criteria. Annual HIMSS Conference reviewers are the backbone of the entire Annual HIMSS Conference education process. Reviewers are the first to see proposals submitted to HIMSS through the call for proposal process. Reviewers and their recommendations are incredibly important to the Annual Conference Education Committee and the role that they play in the proposal selection process. Finally, reviewers are an important resource for presentations that are selected to move forward to the annual conference; they act as coaches during the presentation preparation process and as moderators for the presentation during the conference. This is an opportunity to make a mark on the 2011 Annual HIMSS Conference & Exhibition. Share expertise and an organization’s real-world experiences with health IT. Become part of the largest health IT conference and exhibition in the world. For more information on submitting an education proposal for HIMSS11, contact HIMSS Manager of Annual Conference Education Debra Clough at 312-915-9559. Esther Dyson, one of Foreign Policy’s “2009 Top 100 Global Thinkers,” called medical banking a top lever for change in healthcare. Giving a nod to the idea, the global HIMSS organization and Medical Banking Project united in 2009 to form a new, non-profit, industry-neutral platform with global reach. From its formal introduction into the marketplace by MBProject in 2001, medical banking has entered the dialogue of numerous industry forums and survived repeated Senate mark-ups (see Section 1104 of H.R. 3590). Yet, while our cry has been heard, implementation is far from over. My assumption is that over time mHealth will grow to more heavily interconnect with consumer driven health plans and healthcare savings (and related) accounts. Two sessions at the recent HIMSS 8th National Medical Banking Institute provided current information which I think Mobility Blog readers will find valuable. Other such posts listed at the Conmergence Blog Work tabby. March 08, 2010 — THE DECISION TREE stems from Goetz's unique experience as an editor at WIRED and as a student working on a Masters in Public Health. Goetz was struck by the unfortunate disconnect between the public health world and the tech world. Wasn't there was a way to combine the promise of technology with the rigor of public health in order to engage people more predictably, strategically, and effectively with their own health, he wondered? In the book, Goetz looks at the tools and technology available to us now from DNA analysis that can predict future health issues, to social networks that can keep us abreast of the latest treatments. Goetz balances the science and ideas in the book with stories of real people who are utilizing these tools allowing us to see the opportunities and possibilities in action. The Decision tree is an organizational system that maps out our options, factors in all relevant info (family history, our habits, conditions, etc), and guides us toward the best possible health care choices. A Decision Tree has the power to turn the chaos of medical science into a system that makes sense by prioritizing facts and evidence over instinct and tradition. It puts the patient in the central role as decision maker not the doctor, insurance company, or hospital administrators. First of all I want to thank you very much for taking time to join our effort. I appreciate it and I hope you derived value. If not, I would like to know. Let me know what you would change too. This is free form – send me an email. I will acknowledge all replies and we will factor your suggestions into our 2011 planning process. Our vision is simple: design an efficient healthcare financial network. By accomplishing this we can as an industry convert some $35 billion in wasted dollars so providers can offer better care, or expanded care, in their communities. To do this we must evolve and facilitate sustaining models. I want to say that again. Our efforts must focus on sustaining models. That is truly the only way to grow this area that, while having great social goals, must survive the ebb and flow of commerce and competition. This is one good reason why we are developing a new, neutral, G7 Roundtable of engagement. We need great “move forward ideas and solutions” that integrate the good work done to construct building blocks (privacy, technical standards, specialty payment systems, etc) into efficient end-to-end healthcare financial networks. Our short term focus must now move from learning about how the HIMSS global engine can propel our movement (what we covered at the Institute) to discrete case studies of medical banking innovation in the marketplace. We need to focus on the pragmatic while at the same time evolving thought leadership. HIMSS Medical Banking Project will keep this new paradigm of activity and ideas in front of our membership. One way we’ll do this is by merging content areas in medical banking, financial systems and payer administration…and we will seek to develop resources targeting medical consumerism as well (globalization of healthcare, medical tourism, account-based plans, etc). The “tsunami” of 5010/ICD10 transformation is also a key forward focus as are other areas (mHealth, community care platforms, fraud and abuse, etc). We look forward to, and frankly need, your continued engagement. Please join HIMSS MBProject if you’re not a member today. Our membership plan has changed dramatically in terms of cost and a whole new layer of benefits! We need your input ALL YEAR LONG, not just at the Institute! Thanks so much again for spending time with us in Atlanta! HIMSS...providing HIT leadership through knowledge and education for the betterment of healthcare. Go to www.himss.org to see how. As part of the HITECH Act in 2009, The Centers for Medicare & Medicaid Services (CMS) administers the Electronic Health Record (EHR) incentive programs under Medicare and Medicaid. CMS prepared a proposed rule on the EHR incentive programs for public comment. This proposed rule includes the definition of meaningful use and other requirements for qualifying for incentive payments. The comment period for this proposed rule closes on March 15, 2010. CMS welcomes your comments which may be submitted through http://www.regulations.gov. For additional information on the proposed rule, visit http://www.cms.hhs.gov/Recovery/11_HealthIT.asp on the Web. Here you will find fact sheets, presentation materials summarizing the proposed rule, and links to the proposed rule itself. The Network has been built and its 2012. What does it look like? What are the characteristics? To coordinate the stakeholders as new, emerging functional requirements of the Network are isolated and payers come together to form an electronic payment process that is transparent, fully accountable and efficient? 2. In the absence of healthcare reform what should the industry be doing to revolutionize the healthcare financial network? Do consumers play an important role in this (consumer demand)? 3. How can banks partner with healthcare groups to advance the “health-wealth” paradigm for the consumer? Casillas takes the topic further at the International Journal of Medical Banking. Why is the XBRL community so disinterested in the Medical Banking space? The U.S. healthcare system represents some $2.5 trillion annually and growing. Hidden within the cost of the infrastructure are the diversity of methods used to manage money and associated remittance data. Incremental advances in this area could result in systemic savings across the healthcare stakeholders. While existing regulations under the Health Insurance Portability and Accountability Act (HIPAA or “the Act”) recognize the value of this critical area (as specified in the Administrative Simplification provisions of the Act), the advancement of industry-wide and systemic programs, best practices and standards to capture this value have proven remarkably tedious and slow to implement. Perhaps the same challenge we had implementing XBRL in the financial reporting sector is part of the answer: those $30 billion or $35 billion or whatever "savings" aren't really savings if you're the one billing companies for those monies today -- whether you're an outsourced firm or someone in the internal department responsible for your large and important existing business process. One person's "savings" are another person's "losings." Therefore, there's not just plain old fear, uncertainty and doubt to address -- there are strong incentives for many current market participants to paint change as "high risk," tell their customers and their employers there are more important priorities, and that they should "let other people go first" with all of this scary technology stuff. With such a large health information ecosystem, and so many long-term information technology contracts and projects already in place, and many of the unnecessary costs being paid and managed by non-profits or by people who believe their main purpose in life is helping patients, not promoting efficiency, it probably shouldn't be a surprise that innovative energies devoted to the ultimate mission of improving medicine are directed more at improving treatments and less at improving how the back office works. Also, HHS apparently has yet to fully realize that it could do exactly what the FDIC and SEC did and simply mandate the use of an open technology standard like XBRL. In fact, XBRL would be a good standard for lots of health related data. Automated data validation and low- or no-cost software upgrades via taxonomy updates and access to the existing XBRL technology infrastructure would all be wonderful in the health sector. Heck, the FDIC and the SEC have already laid the foundation for the necessary cost/benefit analysis, and despite all the FUD, found the benefits to exceed the costs. But those $30 billion or $35 billion losers are sure to explain to HHS and everyone else who will listen to them in painful detail every reason they can conceive why an open technology standard would be a bad idea and why they should move s l o w l y. The good news is that on my last trip to DC, I met some new HHS people who understand this and who are quietly leading to do the right thing -- and this is from someone who spent 16 years in DC working for leaders of what today is the minority party. And more good news is that market pressures always prevail, even if they don't do so as quickly as we like. Someone will find a value proposition for an open technology standard. I've been working with http://www.cloudinc.org -- looking at ways to avoid reinventing perfectly good technologies that XBRL has already developed and offering a new value proposition: A domain that's based not on a particular industry, but on the end user -- people. Today we announce the first cooperative agreement awards authorized by the Health Information Technology for Economic and Clinical Health (HITECH) Act. It marks a major milestone in our journey towards nationwide adoption and meaningful use of health information technology (health IT). One set of awards provides $386 million to 40 States and qualified State-Designated Entities to rapidly build capacity for exchanging health information across the health care system both within and between states through the State Health Information Exchange Cooperative Agreement Program. The other awards provide $375 million to create 32 Regional Extension Centers (RECs) that will support the efforts of health professionals, starting with priority primary care providers, to become meaningful users of electronic health records (EHRs). Additional awards will be made in both programs over the coming weeks. Together, these programs will help modernize the use of health information, improving the quality and efficiency of care for all Americans. As part of the State Health Information Exchange Cooperative Agreement Program, states will play a leadership role in achieving HIE to meet health reform goals. The funds awarded will be used to establish and implement plans for statewide HIE by creating the appropriate governance, policies, and technical services required to support HIE. Developing this state-level capability will help us break down the current barriers to HIE and help providers to qualify for Medicare and Medicaid incentives under the HITECH Act. The awards will also strongly encourage states to consider participating in the Nationwide Health Information Network as an approach to HIE. This would create a pathway toward seamless, nationwide health information exchange. While the State HIE awards will strengthen capacity for health information exchange, the Health Information Technology Extension Program awards will establish RECs to deliver direct outreach, education, and technical assistance services to health care providers in their regions. Each REC will focus most intensively on the physicians, physician assistants, and nurse practitioners who work as part of individual and small group primary care practices, as well as those who dedicate themselves to providing health care to the underserved. Primary care providers in small practices provide the great majority of such services in the U.S. but have limited resources to implement, meaningfully use, and maintain EHR systems. On-site technical assistance for these priority primary care providers will be a key service offered by the RECs. RECs will assist providers who have not adopted EHRs, as well as those who have but need help progressing to meaningful use. Regional extension centers will also help providers keep health information private and secure. The Health Information Technology Extension Program and the State Health Information Exchange Cooperative Agreement Program are critical components to the end of a nation-wide interoperable, private and secure electronic health information system. I look forward to working in collaboration with each state and REC as they establish their programs, begin work within their communities, and promote the transformation of our health care system. I applaud each awarded entity for its dedication to the mission of improving the quality of health care and for the leadership and guidance it will provide. Designing the Healthcare Financial Network of the Future, a centerpiece program that seeks to support overall health improvements by leveraging banking systems, is being offered on March 1-2 at the Omni Hotel in Atlanta, in conjunction with HIMSS10. The program's theme focuses on a new, multi-year global strategy tied to HIMSS' acquisition of the Medical Banking Project earlier this year. The Medical Banking [email protected] is open to all HIMSS attendees interested in the medical banking area. Industry leaders representing payers, providers and other stakeholders will convene in a neutral setting to identify and discuss critical path issues that currently impede cross-industry efficiency. Topics include emerging functions in the new 'healthwealth' paradigm to standards and best practices that simplify and automate workflows. The Institute will feature sessions on health data privacy and security in banking channels as well as discussion that contextualizes general healthcare trends against medical banking metrics; a senior level banking panel that will help healthcare providers and payers to understand how banks are investing in revenue management technologies; and case studies that show the emergence of bankdriven community care platforms and more. Preceding the Institute, HIMSS Medical Banking Boot Camp will offer attendees an overview on the emerging role of banks and financial institutions in healthcare. The Boot Camp will meet from 1-5 pm on Feb. 28, at the Georgia World Congress Center. Registration for the Institute and Boot Camp is now open. Visit http://www.mbproject.org/8MBI2010.php for more information. In addition to the Medical Banking Institute and Boot Camp, one of the Views from the Top sessions will explore why banks are interested in healthcare and examine the synergies between healthcare and treasury management. During Medical Banking: An Emerging Strategy to Improve Global Healthcare on March 3, attendees will hear how the world's largest custodial bank (with over $23 trillion in assets under custody) is gearing up for investment in the healthcare industry and how banks can help bring efficiencies to healthcare processing. For more information on this and other Views from the Top sessions, visit http://www.himssconference.org/viewsfromthetop General brochure here. CHICAGO – (December 8, 2009) – Designing the Healthcare Financial Network of the Future, a centerpiece program that seeks to support overall health improvements by leveraging banking systems, will be offered on March 1-2, 2010 at the Omni Hotel in Atlanta, Ga. The program is held in conjunction with the Healthcare Information and Management Systems Society (HIMSS) Annual Conference & Exhibition at the Georgia World Congress Center from March 1-4, 2010. The program’s theme focuses on a new, multi-year global strategy tied to HIMSS’ acquisition of the Medical Banking Project earlier this year. The Medical Banking [email protected] is open to all HIMSS attendees interested in the medical banking area. Industry leaders representing payers, providers and other stakeholders will convene in a neutral setting to identify and discuss critical path issues that currently impede cross-industry efficiency. Topics include emerging functions in the new ‘health-wealth’ paradigm to standards and best practices that simplify and automate workflows. Case studies that show the emergence of bank-driven community care platforms and more. Preceding the Institute, the HIMSS Medical Banking Boot Camp will offer attendees an overview on the emerging role of banks and financial institutions in healthcare. The Boot Camp will meet from 1-5 p.m. on Feb. 28, 2010 at the Georgia World Congress Center. Registration for the Institute and Boot Camp is now open. Hotel reservations can be made through Ambassadors. The Healthcare Information and Management Systems Society (HIMSS) is a comprehensive healthcare-stakeholder membership organization exclusively focused on providing global leadership for the optimal use of information technology (IT) and management systems for the betterment of healthcare. Founded in 1961 with offices in Chicago, Washington D.C., Brussels, Singapore, and other locations across the United States, HIMSS represents more than 23,000 individual members, of which 73% work in patient care delivery settings. HIMSS also includes over 380 corporate members and nearly 30 not-for-profit organizations that share our mission of transforming healthcare through the effective use of information technology and management systems. HIMSS frames and leads healthcare public policy and industry practices through its educational, professional development, and advocacy initiatives designed to promote information and management systems’ contributions to ensuring quality patient care. Visit www.himss.org for more information. RE: what to ask about new bill? I subscribe to your LinuxMedNews feed and appreciate you being a hub of info for OSS Medical Software. I am concerned about the development of a cartel system with certification and even more concerned that so many people are missing the boat when it comes to healthcare reform. Review the expenses of any small rural hospital (like the one I work at) and you will find all sorts of archaic uses of technology by government agencies. For instance, paying a company to act as a secure bridge between medicare and the hospital's billing department just to transmit billing info. Haven't these people ever heard of SSL? WebDAV? SSH?... and on? There are still some services we use that use a dial-up connection to transmit info! Today at 4 p.m. central, Senator Tom Harkin (ed. toward bottom) will be holding a Town Hall meeting about health care reform at my facility. What are some talking points and questions to put to him? Are there some issues with the current bill that are in favor of or are against the OSS movement? How can we get more people to recognize that we don't need 100+ EMR software companies trying to re-invent the wheel? BWT - I hope to record the meeting in HD and post it publicly. I will send you a link if the recording comes out. I think the most prudent thing for me to do is pass this inquiry on to lists of contacts who are active in reform in their various spheres of influence. 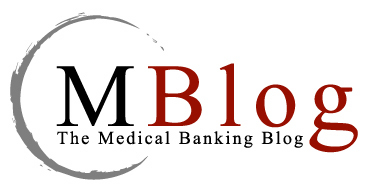 I'll also post to my LinkedIn Medical Banking and Open Health Care groups, blog it at MBlog, etc. Thanks for the heads up. I'd suggest using #HarkinHealthcare and #HealthcareReform as hashtags on twitter and identi.ca for any folks who tweet and/or post (does laconi.ca have a"cool post verb" yet?). Washington is again considering temporary healthcare reform, and at great cost. Negotiating to the center of the proverbial table which is tilted heavily in favor of health insurers to the detriment of patients, providers and employers, has not worked in the past to lower cost, improve care, or insure more Americans. "Cost containment" for its own sake, whether Medicare's SGR, "managed" care, capitation, or "Pay for Performance", has not worked to contain costs. By ignoring our fundamental health system problems, past "reform" efforts have caused the American healthcare system to be the most expensive system in the world even as it leaves 15% of our population without good care. * "We can't solve problems by using the same kind of thinking we used when we created them." * "Everything should be made as simple as possible, but not simpler." Please forward this message in the hopes that more Americans will seek to promote fundamental change to Congress and the White House. I just want to make it clear; there was no Tom Harkin present, just a staff member from a state office. The information I received was unclear on this point. The talk was generally pointed at the finance side of things and the conversation never veered from 'how do we pay for changes'. Research carried out for Capgemini, Unicredit and Efma for the 2009 World Retail banking report shows that banks see IT optimisation as the third most important (45%) opportunity in addressing the mortgage market over the next five years, with 36% saying that using remote channels is. At this moment, only two specialized applications in the enterprise search market exist that show growth potential: those that are used to investigate the fall-out of the credit crisis and those used by organizations as part of their defense against investigations that result from heir activities in the banking and financial industry. Although most of the economy is reeling and IT budgets are being slashed, enterprise search applications are one of the few areas where organizations are allocating investment resources. We are witnessing a revolutionary financial trend: Virtual money. "Fake" online currency of gold, points, etc. -- is becoming real. Differences between real and virtual currency are diminishing. Currency "exchanges" have been established. Multiplayer virtual worlds will soon host government-licensed banks. And the sins of real money, such as bank robberies and currency laundering, are infecting virtual money as well. Government taxing agencies, including the U.S. Internal Revenue Service, are exploring laws for virtual income. At least one government is concerned that virtual money could actually devalue "legitimate" money. I predict we will eventually consider some online currency at least as useful as traditional currency. See also BusinessWeek's take at Virtual Currencies Gain in Popularity. You received this message because you are subscribed to the Google Groups "Cloud Computing" group. The Medical Banking Project agrees on the "cloudy" future of healthcare but argues banks (or their 3rd party suppliers) are the vendors with the greater exposure to security concerns, have the greatest history with online data delivery, etc. With the due date for Electronic Medical Records provision of HIPAA coming in 2014 - The Healthcare Industry needs more innovative solutions around the implementation that is easier for those less technical to use. It will be very tempting for all of us technologist to jump on the opportunity - but we need to proceed with caution. One of the biggest burdens faced by medical care professionals are the very systems we put in place to help make their jobs easier. The number one complaint I have heard when talking to the users in the medical industry is the amount of time needed for the electronic charting, syncing, loss of data etc taking away from continuity of care for their patients. Centralizing this data is a HUGE savings for physicians. Universal Client computing came from understanding the impact of not applying the right technology for the right use case but also understanding the need that there has to offline capabilities as well as online to avoid negative outcomes. Tying together offline and online with solutions like application virtualization that can leverage local compute power by do bidirectional updates of data to the cloud over HTTP/HTTPs - or other hybrid based uses cases will go much farther then just espousing one technology over another. 1) Medical Billing - particularly when billing is done either in a foreign country or by a third party. Privacy laws in Europe around health information require the data to be kept in the country of origin. I have seen medical billing done successfully with VDI implementations for larger institutions but believe a CLoud implementation with EC2 (following proper SAS70 guidelines) would also be a viable solution. 2) Transcription services make sense as well - similar to medical billing. Edge Cases Not Recommended 3) I am a large proponent of the Cloud and Virtual Desktops but there are edge cases that should wait until the technology is more mature like Critical applications required for 3D or 4D imaging used in diagnosis, in Emergency Medical areas like ER, Nurses Stations, ICU, etc that require access to vitals and charts, Pill dispensing stations that are locked. As someone that has provided technology for infrastructure for over a decade - I know too well how lives can be lost due to accidental patch or reboot on an individual basis now multiply that by 40 or a 100. The technology is not ready yet. For the Optic Digital imaging diagnosis below - can you tell us where the graphics processing was done? Also did anyone chart the malpractice or misdiagnosis ratio of those films over traditional methods? At first blush the costs savings look great - but we are talking about eyesight and lives when we are talking about medical. I have heard of issues with hospitals trying to implement Cloud based solutions in Emergency rooms. In one case the wireless network connection failed while a physician was trying to review films to remove a bullet from a patient. Although IT tried they could not fix it in enough time to save the patient. The next example is a personal one - My family was impacted by a significant misdiagnosis of EchoCardiogram films for my husband's heart. The EchoCardiograms were misread by a Physician in India collaborating with the Physician in Phoenix. We were told that my husband's condition was graver then it was, asked if we wanted to participate in an experimental study for the greater good of man kind because his condition was not reparable (Supra Cristal VSD, Pulmonary Stenosis and a Patent Ductus Arterosis). At the time our childre were 6 and 11. We spent two days of hell planning for the worse. The second physician we spoke to the following week had a different opinion and referred us to Stanford. Stanford concurred with the second physician. He did have the VSD but did not have the other issues. Apparently the resolution on the remote display protocol was not clear enough for the Physician in India that read the Physician in Phoenix's file to get an accurate discern that what she was seeing was not a PDA but additional movement on the echo from the higher pressure shunting of the blood when the valves opened and closed. We never sued the doctors because it was a technology issue. Had we have listened to the first doctor mentioned - chances are my husband would be dead given the morbidity rates of the experimental surgery or at best would have another 2 or so years left. Instead - he has a good prognosis. Now I ask you - if that is your spouse, parent, child or YOU would you want the films processed at the server and streamed? I for one am glad we sought a second and third opinion from someone that used a local PC with high end video graphics cards. I also know, that doctors use Amazon Mechanical Turk to process transcripts, thus reducing their HR burden. Yes - in fact you can use the cloud for making the supply and demand equalise. We did this for a diabetic retinopathy project where we connect doctors within certain regions to do diagnosis of eye images of patients who have been to clinics in different city or country. Thereby reducing the waiting time and giving dr's additional revenue streams. Medical expenses are increasing everyday although the same medical processes have been around for a while with cloud computing do your think there is an opportunity to overhaul and simplfy high cost medical processes leverging infrastruture-as-a-service? In healthcare its important to learn first and foremost the HIPAA regulations. Some of the clauses from what I understand require in simplified terms that the patient sensitive data be separated and/or encrypted from others and the machines be in a “cage”. Having said that once you have the patient identifiable data separated from the actual data, you could use the cloud. I can see specially in claim processing, image processing or data mining that the cloud could be very useful. Also since the “cloud” sits on the internet and a down internet can bring in a lot of liability to the end provider – I feel EMR would be a long shot. Intro: Thank you Maureen and the entire team at the President’s Council, they deserve so much credit; Members and Sponsors. Once a person visiting a restaurant in France was so taken by the entrée that she asked the Chef for the recipe. The following year she visited the same restaurant, ordered the same dish and asked for the Chef again. “I’ve tried it over and over again and its not coming out. What’s the missing ingredient?” The Chef replied, “madamme, after you follow the directions you must throw yourself into it”. Today, during an unprecedented global crisis in banking and as our domestic healthcare systems strain under the weight of a growing underserved population, it may seem counter intuitive to link two ailing systems. But for those in banking and healthcare who have thrown themselves into the prospect of improving healthcare, a new vision of the future is emerging that is powerful, energizing and compelling! They have stumbled upon a missing ingredient in our national dialogue to improve healthcare – medical banking. And they realize there is simply too much at stake for banks not to be sitting at the table as we fix our healthcare system. The recipe for economic disaster is a broken healthcare system. This was the central message of the President at last week’s healthcare summit. Thus all the things that drive the banking and financial services engine rely on healthy individuals and communities and a productive labor force. Dr. David Mirvis, who will be on our Federal Health Board panel today, researched this linkage and found that economies rise and fall based on the health of people in an article published in JAMA. Dr. Stephen Parente, who will also be on our panel today, wrote in our Dr. HSA Column that an economic stimulus pathway could be distributing using cards credited with $500 to be used for prescription drugs, adding that while he’s not very excited to see so much money being spent, if its going to happen anyway, let’s spend it smartly. Many see a clear link between healthcare and economic vitality so the real question is why wouldn’t banks be fully engaged, why wouldn’t banks use their resources in the national quest to fix healthcare. We’ve all heard a common ingredient for success: “necessity is the mother of invention.” Perhaps it will be of necessity that we find healthcare using the rails of our banking complex to finally realize the national dream of real time data exchange between all the industry actors. When the dish is ready, we believe that banks can ramp healthcare onto a digital platform. Banking processes were at one time mired in paper too, and there is no question that the lessons they bring to the table, and in some cases their very systems and processes, in which they are highly invested, can fast forward our national eHealth strategy. Yet we don’t hear very much about this paradigm shift in the national process. We hear about spending billions of dollars to create a new digital system, but what about the digital system lying right under our nose? Ultimately, our challenge is to forge a health-wealth view of the future, where banks join with fellow healthcare stakeholders to develop common solutions to help the uninsured and unbanked, to socialize better tools and information that families can use for their medical treatments, to help individuals get real time access to their healthcare records through online banking used by 55 million households in America and growing, and to enable community centers that President Obama is investing in with eligibility, funds and data transfer platforms that support far greater coordination of the finite healthcare assets in the community. Oh yes, we have a vital ingredient and a critical role in the national dialogue and don’t let anyone tell you otherwise. Banks and financial services firms are teaming with health technology companies and others to create a new paradigm, starting with vastly improved administrative processes and moving up the value paradigm in phase 1, to automating workflows that remove the paper chase, leveraging the unique market position of the bank to process and capture payment data that improves revenue cycle decisioning through denial management or contract management routines that take up so much time in the business office, and finally moving to the top of the pyramid of value, to address the enterprise needs of the healthcare community. Different banks are evolving at different rates along this pyramid. As you do, know that the top contenders have found compelling prospects for profitability. As success stories come in, medical banking groups are following this strategic pathway, creating one of the nation’s most compelling “Green Tech” engines – another tie into the goals of the Obama Administration. Yes, we have a critical ingredient for the national dialogue to improve healthcare. Moving to phase 2, we should align the immense annual investments in privacy and security in online banking with the unique data needs of each stakeholder. This calls for electronic integration of assets to liberate data so it can travel securely in real time. We’re all stirring this pot together – our own build-out of specialized banking platforms, NGA’s recent summit where former HHS Sec Leavitt called on leaders to “remember Argentina” and to invest in healthcare to stimulate the economy, John Halamka’s HISPC 11-state collaborative to normalize state laws that impede the flow of health data across state boundaries, WEDI’s leadership to move us toward the 5010, EHNACs program for clearinghouses, ABA’s HSA Council, TAWPIs new HPAS, HIMSS’ annual summit and much more – all of these efforts, in my view, are moving us towards greater data liquidity that at the end of the day will, and must, empower the consumer. In phase 2, banks are embracing the power of their market position, reving up eHealth strategy, creating real time gateways with health IT partners, specializing card platforms to automate payment processing across stakeholders, leveraging online banking to support single-sign on for the consumer, giving families private access to health-wealth tools, and although Track 1 is a primary focus for many today, the recipes of the future belong to Track 2: innovations in medical consumerism. So we ask you to apply yourselves diligently to the task of exploring how financial systems can align with the national process to improve healthcare; and this moves us to phase 3, examining how governance models, like the Federal Reserve, can spearhead common standards banks can use to empower business and consumers with mission-critical and family-critical tools…tools that hospitals can use to automate the routines in Phase 1, tools that health plans can use to reduce disbursement costs, tools that community care centers can use to access healthcare assets in real time, tools that will allow you and I to use a “healthcare ATM” just like we use the regular ATM, so if we travel abroad as a medical tourist or just across the country and we get ill, we have secure and private on demand access to our healthcare records and our financing resources at the swipe of a card. We can get this done! Building an electronic medical banking community, the theme of our event, moves the President’s “Green Tech” agenda forward. Rationalizing the extreme paper chase in healthcare is core to modernizing our healthcare system. We’ve done good work digitizing the front door, sending the claim from the provider to the payor but the back door was left wide open and today, whenever you visit a care giver, a steady stream of paper follows you – almost all payment related. This mountain of paper invades our healthcare system, creating enormous barriers to efficiency, siloing data that needs to be securely liberated to improve healthcare at every point along the process and especially at point of service, where adverse drug events cause avoidable pain and loss. Who will liberate this data? How will it happen? If you follow the trail, it leads through the banking world – a service is rendered, payments are processed. In this country, payments only move through banking systems. Thus banks can use their tremendous investments in information technology to ramp healthcare onto the on-demand paradigm that leads to better health programs for all the stakeholders. That is in large part what our educational program here is about. And what we need to do is understand how to add value to that data so it can address the unprecedented cash flow pressures our health care system is experiencing, not just from the economic downturn but because of the very complexity of our healthcare payment system. Today, I’m very proud to report success stories coming in from our members – one provider saving $4 million in 12 months after implementing a medical banking platform, another saving $660,000 and other stories that are catapulting medical banking into best practices. Yes, we have a Green Tech Message that is delivering compelling ROI and we need to spice up the national debate by making our voices heard. And I’m proud to say that that is what we can do at this Institute. Sometimes when agonizing over problems you wake up to find solutions right under your nose. I want to suggest to you today that the medical banking build-out is inevitable. As banks linked with airline systems removed layers of inefficiency, enabling consumers with online tools, so medical banking is following a similar pathway, pushing paper out of the system, liberating data, fueling revenue cycles and decisioning; helping banks and their healthcare clients to gain a better view of the intrinsic value of the fundamental financial unit in healthcare, so taxed with myriad codes, and potentially unleashing $200 billion in credit from receivables that are wasting away on the books and records of our nation’s healthcare systems. Other industries have liquidated this asset. This is a mainstream practice except for healthcare, where the value of receivables is too often locked in a deep freeze. This will change in the new medical banking paradigm. Now, do you remember how when growing up, Mom made you eat the peas? Some of you still don’t like peas because of that. Value should drive progress not legislative fiat. It may make sense to engage a legislative agenda at some point, but for now we’ve chosen to take our ideas to the marketplace and let the market decide. And they have. The 1100 employer strong Automotive Industry Action Group embraced medical banking as a strategy, helping us to create a new Tool Kit for Employers to diffuse medical banking practices in the marketplace, and we’re excited that LeapFrog and others are taking notice of our efforts. MBProject just aligned with NCPDP, the only group that is doing real time processing on a general basis, to cross-pollinate ideas with our banking members. The HFMA is here, a powerful healthcare group, and this is testimony to the power of our ideas. I look forward to hearing Bob Broadway tell us how we can help hospitals navigate one of the toughest times in the history of healthcare. As Obama said, we’re at that Thelma and Louise flashpoint in healthcare, where the car could go over the cliff. The medical banking community will not stand by idly and watch banking and healthcare crash burn. We’re in the game. Its Game On for Medical Banking! We reached out to consumer groups too. Greg Scandlen, founder of Consumers for Health Care Choices, will share his ideas and I’m going to listen to him carefully. We need to listen to consumers, because our quest to build platforms that serve business will ultimately find critical mass in service to families. Banks know the power of scaling services for the masses, which they do everyday. As we collectively fine tune the vision in medical banking, new concepts will emerge of how to marry online banking, credit terminals, ATMs, branch systems, to personalized healthcare platforms that promote better lifestyles and better healthcare. Not only will this improve customer retention but banks may add three times more to the bottom line by creating a health-wealth portal, linked to online banking, based on an extrapolation of research done by Dr. Paul Whitman, here from California Lutheran University in Simi Valley. We need to gather other chefs into the kitchen who don’t mind the heat. So we reached out to national leadership like the Mayo Clinic Health Policy Center. Bob Schmoldt, a leading national figure from Mayo, recently concluded a high level meeting in DC to fine tune the concept of a US Health Board. We’ll explore this area today and gain your valuable input. So you better plan on throwing yourself into this discussion, which we will document and provide to the White House Office for Health Reform. Healthcare and banking groups are sharing ingredients, they are finding common ground to improve healthcare in increasingly powerful ways. When I first started talking about this in 1996, I was met with a field of bank stares. Yet convergence is vital to the national dialogue to improve healthcare. The Medical Banking Project has pioneered new ground; we’ve thrown ourselves into the healthcare dialogue with a critical ingredient and with our members, we are making great strides. All of you, top executives in your domains, must know that you are an integral part of the process, not a bystander. You should not accept the fact that everyone in healthcare is sitting around a table and leaving you out. You must be in the process, you must, if necessary, throw yourself into the process to fuel an electronic medical banking community that provides powerful and relevant services for our ailing healthcare system. This is not a time sit back. I know there are groups that are struggling. I know that you are coming here trying to find your footing in this dynamic and complex area. I know its not easy. But I exhort you to move forward. Hold on and invest. Your ideas are far too compelling and you have a very good chance of being rewarded well for your efforts. You must not give up! Your participation is vital to the healthcare interests of our nation. Our Gold Seal program, is the essential underpinning of our movement. Its not just a technology platform that we need; we must build a platform of trust for business and consumers and bankers know that all too well. One slip up, and 58% of your customers will change banks. Your margin for error is almost non-existent. I encourage you, because even though today’s climate of low confidence is tough, consumers are still depositing funds into your accounts, using ATMs, credit cards and more. Let’s not throw the baby out with the bath water. Banks will continue to provide a central driving force in the evolution of healthcare solutions. Our Dispute Resolution Initiative is a key tool that Sheila Schweitzer will discuss at our National Roundtable during lunchtime. Our Medical Banking Tool Kit for Employers will be unveiled tomorrow where we’ll hear from Scott Sharland, Executive Director of the Automotive Industry Action Group; about their initiatives to manage fiscal stress, and how medical banking offers a key ingredient for their long term viability. Our International Journal of Medical Banking, as Maureen discussed, provides a peer reviewed tool that helps to get the mental juices flowing to spur creative strategies linking banking and healthcare systems. Our Executive Training Program, as announced by John English, a professor at Vanderbilt University, will address a growing need to train new medical banking talent and to foster critical leadership standards in this emerging area. And there are more exciting programs being developed our Tool Shed. Tools that are being honed by an awesome cast of executives – our members – who are building common standards for creating a Green Economy, A Digital Economy, A Lean Economy; (a lean, green, stimulus machine)…they are building an electronic medical banking community. We urge you to become part of the process! Don’t sit aside when we need you to come to the table. We can’t educate you in medical banking in three days! This is much like drinking water from a fire hydrant. To get the recipe right, you need to be involved 12 months out of the year, you need to join MBProject and help us to make a difference! In closing, I want to emphasize again that necessity is the mother of invention. What if one of the most important and critical ingredients for fixing our banking and healthcare crisis was to find common ways to help each other? What if two broken, elephantine systems, prodded by a dancing mouse, discovered new ways to heal themselves? Cleary, a healthy community supports a productive workforce that ultimately results in healthy deposits. Healthcare and banking leaders truly have much in common. There is good reason to invest in healthcare to energize the bottom line, and get the economy moving forward again. I believe we have an historic opportunity to influence the progress of our nation by throw ourselves into the creation of an electronic medical banking community. Towards this end, we offer this Institute to inform the national process, so that we can collectively build a healthy-wealthy future for our families and communities. Thank-you. Medical Banking Project is driven by a mission: to convert digital savings into charitable resources. We do this by optimizing banking resources for healthcare. What gives life to our mission are the executives that have come into our process as members and leaders of our workgroups and councils. We want to acknowledge each of these leaders for their hard work. Each year, one or two people rise to the surface. When it comes to information technology spending, I've often been told companies in the health-care industry should behave more like banks. During the decade I've been a chief information officer, IT operating budgets have been 2% of my organization's total budget. That proportion is typical for health care. During the same period, IT budgets for the financial-services industry have averaged 10% or higher. Given the recent troubles of AIG (AIG), Lehman Brothers, Merrill Lynch, Washington Mutual, and others, you have to wonder whether those IT budgets represent money well spent. Of course, financial-services firms have had great systems for handling such tasks as share trading, disaster recovery, and data storage. But did they have the business-intelligence tools and dashboards that could have alerted decision makers about the looming collapse of the industry? Did the financial-services industry have controls, risk analysis, or a memory of previous crises ranging from the Depression to the Japanese banking debacle to the collapse of Enron and WorldCom? Was it greed, irrational expectations, or too much data and not enough wisdom that brought down these institutions? We in the health-care profession naturally take no delight in the financial industry's descent. At the same time, we're trying to make the most of our IT spending and make wise choices with the data we've amassed. John Halamka to John Casillas: The purpose of my article was unrelated to banking or medical banking - it was to point out that we all need less data and more wisdom. I was asked the question yesterday - what is the advantage of medical banking as compared to a fully functional PHR like Google Health? The theme of our 2009 Medical Banking Institute, "Building An Electronic Medical Banking Community", wasn't an empty promise! Our Members have been very busy! We are pleased to announce the creation of a new series of digital and educational tools for the growing medical banking community! These tools will do things like help assure the marketplace that medical banking organizations are meeting the highest standards of privacy, confidentiality and security, rationalizing costs in the healthcare revenue cycle, implementing medical banking programs that save time and money for groups that purchase healthcare and much more! Make sure to check back often! More MBTools are being developed to increase the efficacy and efficiency of your operations! Send comments and suggestions to: [email protected]. We wish you every continued success engaging and developing medical banking programs! Consumer Directed Healthcare (CDH) typically combines a high deductible health insurance plan (HDHP) with a personal saving/spending account, from which medical expenses can be paid directly. Most common spending account plans are Health Savings Accounts and Health Reimbursement Arrangements. Are providers seeing an impact on cash flow and operations from CDH? What Best Practices are providers pursuing to handle CDH? Consumers: Provides economic incentives to manage their own care. Ability to build a medical nest egg. Banks: Deliver Health Savings Accounts linked to a debit card. Offer online payment tools. What Does CDH Growth Mean for Providers? According to a recent interview with a well respected industry expert: "In a nutshell, healthcare providers need to recognize that the tools they need today are not the tools they have from yesterday…they have to realize that they’re at a severe disadvantage unless they re-tool for this new patient responsibility paradigm … today many providers are basically bringing knives to a gunfight"